There’s no denying that we love slots. We wouldn’t be in this business if we didn’t find it thrilling to see the reels spin, to watch once simple games become huge and complex, scoring deals with massive names in the entertainment industry. We’ve seen a lot of fun titles over the years, won many jackpots and lost just as many chasing that high, but at the end of the day, every spin is motivated by the desire to win big, securing a juicy score and cashing out with your pockets a lot heavier than what you originally came in for. 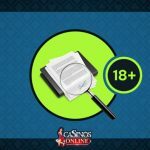 Rather than going for a particularly lavish theme that tries to take you to outer space or in some fantasy land, the Betsoft’s latest release embraces that inner desire we all hold – to get filthy, stinking rich. 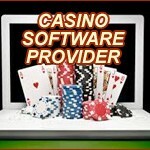 Reels of Wealth offers gamblers a 5x3 playing field with 10 fixed paylines. While 10 is a relatively small amount of paylines, to make up for it, the game awards a free re-spin on every win. After a certain amount of wins, it increases the multiplier, rewarding consecutive wins. Wilds also play a part in which they multiply all wins by 2x and four jackpots that can lead to some opulent wins. Cash, gold and moolah may be good motivators to get gamblers to play, but as far as themes go, it’s not the best choice of things. The sheer amount of golden treasures piled up in the backdrop is impressive, and there’re certainly some extravagantly expensive symbols up for grabs, but none of it really seems to stand out that much. Much like in the old days, it feels a bit bland and generic, and while the art is clearly well done, it doesn’t do much to impress players. And when your slots have to compete with visual powerhouses from big developers, we have to dock points for what comes off as a lack of inspiration on Betsoft’s part. The gameplay, on the other hand, plays right into what we love. Ever since Gonzo’s Quest popularised rolling reels, we’ve fallen head over heels for that playing system, and while it wasn’t implemented in full here, giving re-spins after every win is close enough to scratch that itch for us. Rewarding consecutive scores feels bad if you get just one or two, but once the ball starts rolling, the multiplier starts climbing and win after win floods the screen, only for the re-spin to reveal another one, it’s downright intoxicating. 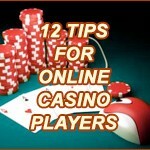 You can wager between $0.10 up to $100 per each spin, allowing both casual gamblers and high rollers alike a shot at the big jackpots that Reels of Wealth offers. And when we say jackpots, we mean it. Alongside having re-spins which come with increasing multipliers, the more wins you rack up, there’s also the option to win one of four progressive jackpots which you see at all times on the sides of the reel. If that’s not a good motivator to keep you spinning, we don’t know what is. As we said earlier, the visual fidelity is good, but the symbols themselves leave plenty to be desired. When the slot is solely based around bringing in as much cash as you can carry, there’s the predictable treasure chests, stacks of money, sacks of gold, various coloured jewels, gold bars and golden coins, and four letters, J, Q, K and A. We’re not big fans of using these, but we dislike it even more as there wasn’t even an attempt to gold plate them or make them fit in a bit somehow. Certainly not the best Betsoft release when it comes to visuals. There are two different Scatters. One is just an icon that pays in any position and can be a decent score at random times. The other is a Megastar, and three or more appearing anywhere on the reels activates the free spins feature, which is played on a totally different playing field. Each of the four progressive jackpots has its own trail and with each spin, jackpot icons are removed to advance that jackpot trail. The reels then cascade to reveal new symbols and the first jackpot to be completed is the one that’s awarded to the player. It’s very boring visually, but amazing to play. 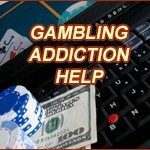 It has some awesome wins, the jackpots are mouth-watering, and the overall experience is pretty solid. If you aren’t expecting much from the graphics, it’s an easy recommendation. If there’s one thing you can rely on, it’s for Betsoft to make a game that feels great to spin.